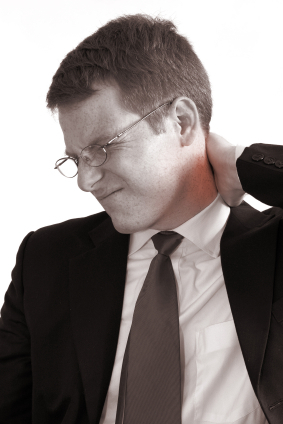 Is Manual Therapy for neck pain the best choice? Another study says, “Yes” A study, performed in the Netherlands at the Institute for Research in Extramural Medicine, VU University Medical Centre demonstrated that manual therapy is the most cost-effective and successful intervention for neck pain. Neck pain is a common condition, and although it may not be life threatening, it often results in increased healthcare costs, absence from work, and disability Many treatments are commonly available for treating neck pain, including analgesics (“painkillers”) as prescribed by general practitioners, physiotherapy, and manual therapy. All of these treatments were performed and compared to evaluate the cost effectiveness for patients with non-specific neck pain. For the study, 42 general practitioners recruited patients age 18-70 who had suffered neck for at least two weeks. One group of patients was treated with standard medical therapy consisting of advice for self- care and in some cases, drugs such as paracetamol or non-steroidal anti-inflammatories. Group two was treated by five physiotherapists and consisted of exercise therapy, massage and traction. Group three was treated with manual therapy, hands-on techniques including spinal mobilization and manipulation as practiced by chiropractors. Manual therapy for the treatment of neck pain was found to be more cost effective than physiotherapy or care by a general practitioner. Manual therapy had significantly lower costs and slightly better effects at 52 weeks compared with physiotherapy and general practitioner care. The clinical outcome measures showed that manual therapy resulted in faster recovery than physiotherapy and general practitioner care. If you currently suffer from neck pain and wonder if manual therapy can help, please make an appointment for consultation with one of our chiropractic doctors. Several repetitive stress injuries are showing up in Dubai’s fast-paced, technology-focused era. A condition known as “BlackBerry® thumb has arisen . BlackBerry thumb is the joint and wrist pain and inflammation caused by the overuse of any personal digital assistant (PDA) or Smartphone. Red flags that signal a need to change how we use PDAs, and possibly the need to consult with a qualified health care professional, are occasional aches in any or all of those areas. 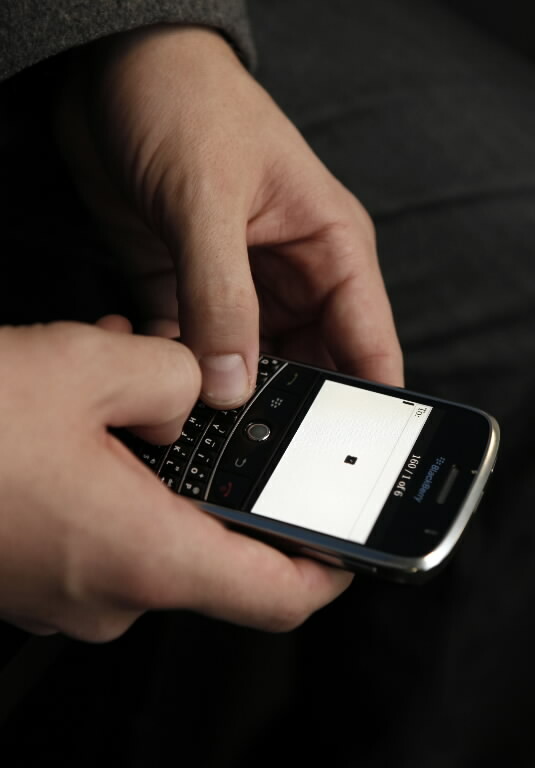 Left untreated, BlackBerry thumb can develop into severe pain, weakness, numbness, and even disability. BlackBerry thumb occurs as the result of asking the thumb joints to repeatedly perform the same action too often. Excessive tapping, flicking, and clicking do our thumbs no favors. X-ray and exam findings can determine if a patient has BlackBerry thumb. Some sports enthusiasts like to “work through pain.” They believe that by pushing the body beyond its current limits, it will gradually become accustomed to new demands placed on it. That approach does not work with joints. And since BlackBerry thumb is a joint problem, forcing thumbs to go above and beyond will only lead to further trouble. Typical Medical Treatments for it. Patients will often be asked to rest the thumbs as part of treatment. Medical treatment typically consists of resting or splinting the thumb, anti-inflammatory medicines, Cortisone injections and, as a last resort, surgery. 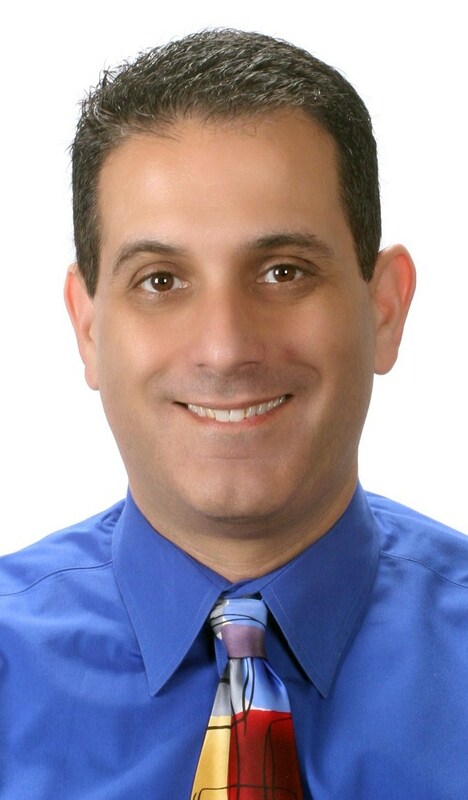 How may a Chiropractor Help? Whatever we might wish them to do, we, doctors, cannot simply make BlackBerry thumb “go away” without the cooperation of the patient. Moderation and flexibility in how we use PDAs are critical elements to recovery and prevention. • Avoid typing for more than three minutes without a break. • Hold the PDA comfortably and close to the body AND DON’T SLOUCH!!! • Turn the device off on the weekend—or at least on Fridays. • Decide that you will check emails and text messages just a FEW times a day. • Cut back on the number of keystrokes and keep messages short and simple. • Consider using the AutoText feature. • If a message must be longer, use your computer keyboard, not your PDA. • Practice using other fingers for typing— especially when thumbs hurt. • If thumbs are in pain, use a thumb or wrist support If you problem doesn’t improve with these simple steps, please call us for an appointment for a more comprehensive treatment plan. “Sleep ergonomics” refers to our postures and positions during sleep. They either help us rest in safe mechanical positions for joints or they stress joints to the point that we wake up with more aches and pains than we fell asleep with. Sleeping position matters. Poor quality sleep is proven to negatively affect health. It is possible and desirable to take strain off your back by making simple changes in sleeping posture. The healthiest sleeping position is on your side. If that’s how you sleep, draw your legs up slightly toward your chest and put a pillow between your legs. Some people even use a full-length body pillow to help maintain balance. Try not to put weight on your arms. This causes circulatory problems and a related pins-and needles sensation. Instead, try crossing them in a braced position. If you sleep on your back, it is best to place a pillow under your knees to help maintain the normal lower back curvature. You might try placing a small rolled towel under the small of the back for more support. Be aware that sleeping on your stomach is generally bad for your back unless you have sleep apnea or are extremely overweight. In this position, the cervical spine undergoes considerable strain, which can cause nerve compression, muscular imbalance and muscle pain. If you can’t sleep any other way, reduce the strain on your back by placing a pillow under your pelvis and lower abdomen. Also place a pillow under your head if it doesn’t cause back strain. Otherwise, try sleeping without a head pillow. Parents sleep better when babies sleep well. The experts recommend against bed-sharing as it can increase the infant’s risk of Sudden Infant Death Syndrome (SIDS). The most important measure you can take to help protect your infant from SIDS is the following: Place your baby on his or her back to sleep in the crib. The prevalence of SIDS has decreased, due in part to educational campaigns. However, SIDS remains the leading cause of death for infants in the first year of life in developed countries. At highest risk are babies who are suddenly switched to stomach sleeping after getting used to sleeping on their backs. A mattress and pillow should support your body in its natural position, allowing it to rest and recover from the day’s activities. The best mattresses are designed to conform to the spine’s natural curves and keep the spine in alignment. Some sleep experts recommend supportive memory-foam mattresses for this purpose. Maintain your mattress. Remember to turn your mattress over every few months. If possible, replace the mattress after five to seven years of regular use. If you feel springs or bumps beneath the surface when you’re lying on the bed, or you and your partner unintentionally roll toward the middle of the bed, it’s time to go shopping for a new mattress. A worn-out mattress can reduce the quality of sleep and make back problems worse. You may also find that the mattress is to blame for insomnia if you notice yourself sleeping better in another bed—in a hotel, for example. A healthful pillow is designed to keep the spine in natural alignment, which minimizes stress on the body. Most people do not maintain neutral positions while they sleep. This creates tension at problem spots like the neck and the lower back, resulting in pain in either or both of these areas. An ergonomic pillow can often help to correct such problems. A pillow of the wrong size can cause or aggravate neck and shoulder problems. When you sleep on your side, the pillow should fill the space between the head and mattress so that the cervical spine is in line with, and an extension of, the spine. The pillow should support the head, neck and shoulders and adapt to the contours of these areas. This will optimize your sleeping position throughout the night. A pillow also should be hypo-allergenic. Pregnant women also should avoid sleeping on the stomach, especially when further along in pregnancy, because of physical changes to the abdomen. Several ergonomic products are designed to help pregnant women sleep more comfortably. For example, a cradle sleeping pillow is engineered to help pregnant women relax and get comfortable enough to fall asleep. These pillows are made of various densities and heights and provide extra support to the shoulders, neck, and arms. at the International Society for the Study of the Lumbar Spine Conference, June, 2004 held in Singapore. Results showed that for chronic/severe, chronic/acute sciatica (LEG PAIN). Flexion distraction did significantly better than physical therapy* If you have any questions regarding treatment with flexion distraction or if you are an appropriate candidate, please call or make an appointment. Posture ranks at the top of the list when you are talking about good health. It is as important as eating right, exercising, getting a good night’s sleep and avoiding potentially harmful substances like alcohol, drugs and tobacco. Good posture is a way of doing things with more energy, less stress and fatigue. Without good posture, you can’t really be physically fit. The importance of good posture in an overall fitness program is often overlooked by fitness advisers and fitness seekers alike. In fact, the benefits of good posture may be among the best kept secrets of the current fitness movement. 3) We drive in cars with poorly designed seats. As chiropractors, we can help you to minimize those effects by removing spinal dysfunction which contribute to bad posture and often first cause it to occur and recommending a postural training exercise program. We can also perform a computerized foot scan to help further analyze if there any postural issues stemming from your feet/arches and to accurately design customized pelvic stabilizer to correct these foot problems. Call us for an appointment at 04-348-1166. Before you meet your doctor, you will be asked to fill out forms that provide background information about your symptoms and condition. You will be asked to provide family medical history, any pre-existing medical conditions or prior injuries, and previous and current health providers and treatments. It’s helpful if you bring with you any copies of previous tests (for example, MRI or X-ray reports), laboratory results, and a list of any medications you are taking, including over-the-counter medications, nutritional supplements, vitamins, herbs, teas, and homeopathic substances. If you and your doctor of chiropractic agree that chiropractic will help, you will receive your first chiropractic adjustment. While patients are typically asked to lie on a specially designed table, the chiropractor most often uses his or her hands to manipulate the joints of the body, particularly the spine, to reduce pain and restore or enhance joint function. We will adapt the treatment plan to meet your specific needs. Other treatments, including therapeutic ultrasound, electrical muscle stimulation, ice, soft-tissue massage, and rehabilitative exercises, may also be used. You may also receive instructions on certain activities or procedures to conduct at home. This may include ice, avoidance of certain activities or positions, as well as home exercises and/or stretches. Many patients feel immediate relief following chiropractic treatment, but it may take others two to three weeks before they achieve substantial progress. Many factors can affect the healing process, such as – whether you are you suffering from a chronic problem or pain, if you smoke or not, whether you follow the recommended treatment plan. Usually, the more fully patients carry out their doctor’s recommendations, the better the results. I often get asked about general health and wellness and chiropractic treatment from patients. Therefore, I would like to share some of the latest information is several areas of heath which you may find very interesting and how chiropractic treatment may play a role. Quit Smoking to help your back!!! More than 50 million Americans smoke and as reported in the Journal Medicine, 2010 research has shown that smoking can exacerbate back pain. In fact, in patients with chronic spine disease, the action or condition that is most often reported along with the pain, is smoking. Chiropractic may help reduce health costs! There is a growing body of evidence that wellness care provided by chiropractors may reduce health care costs, improve health behaviors, and enhance patient perceived quality of life. Until recently, however, little was known about how chiropractic adjustments affected the chemistry of biological processes on a cellular level. In a landmark study published in the Journal of Vertebral Subluxation Research, chiropractors collaborating with researchers at the University of Lund found that chiropractic care could influence basic physiological processes affecting oxidative stress and DNA repair. These findings offer a scientific explanation for the positive health benefits reported by patients receiving chiropractic care. Chiropractic care can help reduce high blood pressure! By restoring proper motion and nerve communication, the body can return more easily to its natural state of balance. This equilibrium is optimal for healing and/or wellness to occur. Chiropractic is the third largest health profession in the United States and treatment focuses on the spine and its related structures. Most of our patients come to our clinic for pain related conditions, however, as well as pain relief and improved spinal function, oftentimes, they also report improved digestion, better sleeping patterns, and an improved feeling of general wellbeing. If you do have any questions or health concerns which you think we may be able to help, please contact one of our doctors at 04-348-1166. 1. Bakris G, Dickholtz M, Meyer PM, Kravitz G, et al. Atlas vertebra realignment and achievement of arterial pressure goal in hypertensive patients: a pilot study. Journal of Human Hypertension 2007;21:347-352.